And an update on What Would Maisie Do? 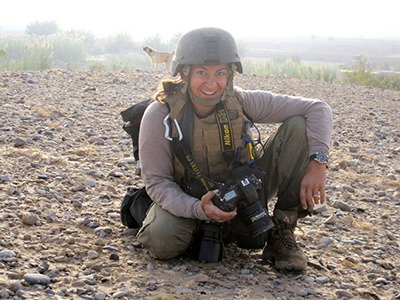 For as long as I can remember, I have been in awe of those journalists who go into conflict zones to report on a story—so it was hardly surprising that a key character in The American Agent, Catherine Saxon, is a war correspondent. The work of journalists in war zones enables us to have a sense of how we are impacted by something happening so many miles away, perhaps in a place we will never visit and cannot imagine. I was in my teens when I began to focus on the women who went to war with their notepads and pens or their cameras, taking their fear with them because a dose of fear can keep you alive in a conflict zone. Drawing attention to just a few of those women means I have to leave out so many who have blazed a trail—women who, as well as writing about the battles, shed light on the terrible, unforgiveable human cost of war. A good number of those women perished or were wounded—photographer Gerda Taro, 27, died during the Spanish Civil War after she was knocked off the running board of a car by a tank during a fierce battle. Another photographer, Dickey Chapelle, was killed when she stepped on a mine while on patrol with a marine platoon in Vietnam. She was 47 and had already reported on conflict during WW2 and the 1956 Hungarian revolution. Chapelle took the first published photograph of an American in combat in Vietnam, an image that won her the 1963 Press Photographer's Association "Photograph of the Year." 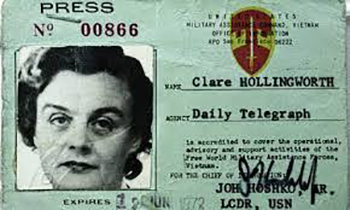 British war correspondent Clare Hollingworth scooped the biggest wartime story, when she effectively reported the start of WW2 from Poland. While traveling along the German-Polish border she witnessed German troops and tanks en masse, facing Poland. She went on to report from various places in Europe, and later from Egypt, Palestine, Turkey and Greece. 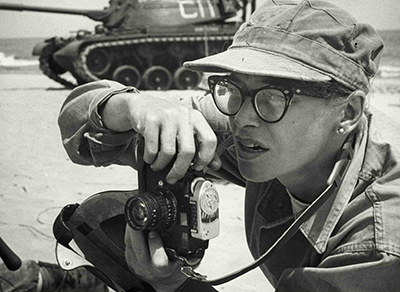 Post-war her reporting took her back to Palestine, then to Aden, Algiers and Vietnam. Oh, the list goes on! Marguerite Higgins reported conflicts in WW2, the Korean War and Vietnam. Her memoir of her time in Korea reads more like the adventures of Jason Bourne. 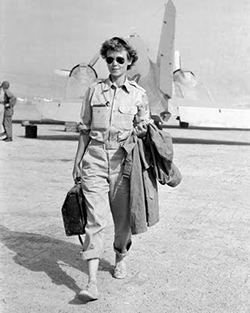 In 1951 she was the first woman to win the Pulitzer Prize for Foreign Correspondents for her coverage of the Korean War. Tragically, her life was cut short when she contracted the disease leishmaniasis—caused by a parasite—while on assignment in 1965. I know I will not be forgiven if I leave out Lee Miller, the stunning fashion model and muse of photographer Man Ray, who became a lauded photographer in her own right, covering the Blitz in London, the liberation of Paris and the concentration camps of Buchenwald and Dachau. And of course there's Martha Gellhorn, the writer whose exploits inspired a number of young women to become war correspondents—including the late Marie Colvin, who has been in the news so much recently, not only due to the film A Private War but to the recent court ruling that the Assad regime effectively murdered her as she reported from Homs, Syria. Journalist and documentarian Rania Abouzeid, who has written a book about her experiences in Syria, No Turning Back: Life, Loss and Hope in Wartime Syria, is arguably one of the most articulate of war correspondents—with a raw honesty that photographer Lynsey Addario captures in her images of conflict. It was Gellhorn who famously said—when asked where she was headed on D-Day—"I'm going where the boys are going." Today it would be men and women going into combat in military uniform, while the war correspondents take their notepads, satellite phones, laptops and flak jackets, ready to tell the story. 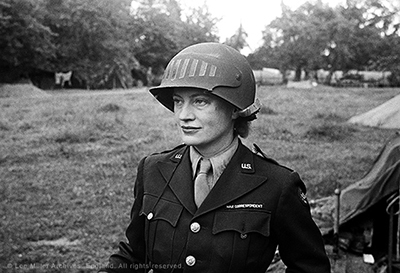 I have newspaper reports, memoirs, biographies and documentary material drawing attention to the achievements of women war correspondents—I wish I had the space to write more about every single one of them, because in this day and age, when the work of journalists is diminished by those who fear what might be revealed in their reporting, the correspondents who risk their lives to keep us informed should be honored, if only by our acknowledging their contribution to our understanding of the world. Certainly, in The American Agent, the character Catherine Saxon was inspired by elements of so many women war correspondents I have studied. 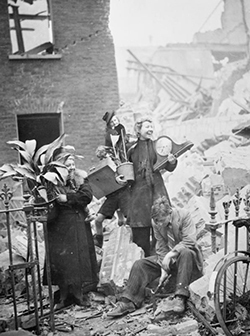 As you read The American Agent, you'll find yourself reminded of the men and women who risked their lives to spread word across the Atlantic of the Luftwaffe Blitz on Britain, the toll it was taking, and the resilience of civilians who lost so much. As a writer who delves into war from a safe distance, my stories are often inspired by the experiences of those who have endured war. Yes, the research can leave a mark on me, but I don't have to face guns or wear a flak jacket to do my work. However, when journalists go to war, then watch their work evaporate from public consciousness in the time it takes for a movie star to get divorced, perhaps that's when we who focus on war in our fiction can pick up the slack—in a small way, perhaps. We craft stories and we weave a narrative to entertain, yes, but perhaps also to provoke thought. And in our storytelling we might touch upon universal truths about the past. I, for one, cannot thank war correspondents enough for their contribution—if they hadn't done their work, it would limit the raw material I have to do mine. Now to more publishing news—and it's an exciting time! 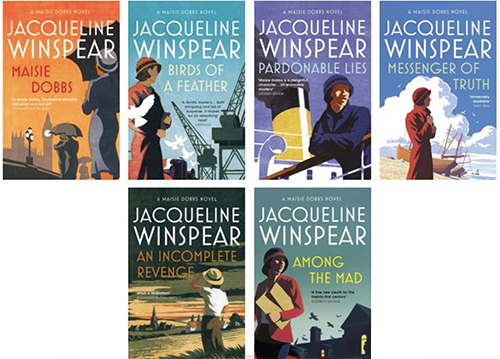 This month not only is the paperback of To Die But Once being published in the US and Canada, but in the UK, the first 6 books in the series are being "relaunched" with covers to match later books, which all bear the gorgeous artwork of Andrew Davidson—so if you're buying in the UK, look out for those reissued titles. 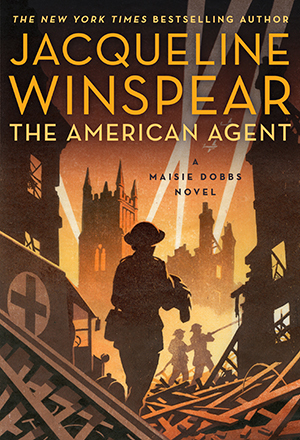 On March 26th, both The American Agent and What Would Maisie Do? will be published. 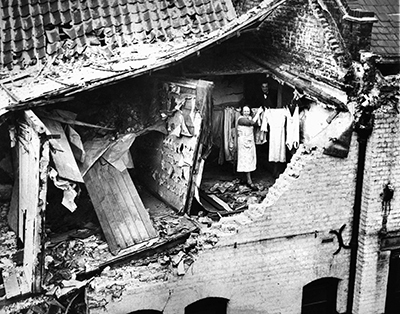 Much of The American Agent was inspired by family stories of life during the Blitz. I remember in 2014, my late mother read The Care and Management of Lies—my WW1 standalone novel—and said, "People really have to watch what they say around you—it could end up in a book!" Yes, I'd "stolen" a story about my mother's early lack of culinary prowess and woven it into the life of Kezia, the main character. I've been thieving again for The American Agent—the story Catherine Saxon broadcasts to America on the night of her death contains an image seared into the memory of one of my aunts. I think you'll know it when you get to it. 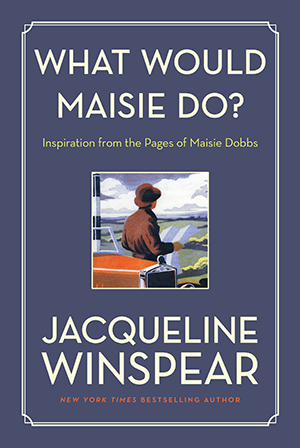 Make a note on your calendar for the What Would Maisie Do community page launching on March 15th—a chance for readers to engage in conversation about the most beloved passages from the novels. I'll be sending another newsletter again in mid-March. Until then, I wish you well. PS: Remember to check out the Events page for my book tour schedule—I hope to see many of you along the way!